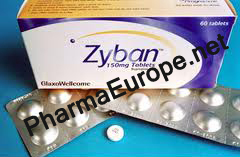 Zyban is a drug used, very successfully, to treat nicotine addiction directly. In this case it is different to the way other anti-smoking agents work, such as nicotine gum and patches, since these simply supply an alternative source of nicotine other than cigarettes. Zyban works at the neurological level, reducing the craving for nicotine in any form.The active ingredient in Zyban is bupropion, a relatively weak inhibitor of the neuronal uptake of dopamine, serotonin and norepinephrine. Chemically, bupropion is related to phenylethylamines and has a relative molecular weight of 276.2. Although, bupropion was initially marketed as an anti-depressant (Wellbutrin), it is chemically unrelated to tricyclic, tetracyclic, selective serotonin reuptake inhibitors or other known anti-depressants.